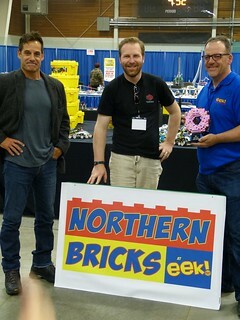 Northern Bricks at Eek Fest is an exciting new convention for LEGO enthusiasts in Canada and beyond! This convention is for Adult Fans of LEGO - AFOL to build friendships, share ideas and techniques, and showcase unique creations. 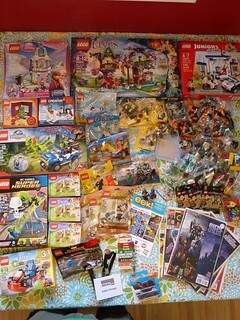 Based on the information found here: http://prairiebricks.canadian-forum.com/t224-brick-roundup-2015, I am very much considering a trip northward. Anyone else want to get a caravan going? I checked in with Kris from NALUG about displaying as a club. They said it would be okay if we did, we would just have to let them know how much space would be needed. Perhaps if we asked for two tables, that would be enough to put a bunch of our stuff on it (including the GBC) but not enough that we might be able to help populated other areas with various other creations. Either way, I've got the banner and stand and will bring it along. Sweet, I like it. The last concern is registering. kbrtosser wrote: Sweet, I like it. The last concern is registering. I put in my information today, including our request for a joint table. I asked for 2, then read that they're only 2'x8' tables. We'd need at least 2 for depth, so when they get back to me I'll ask for 3; 2 for depth for the GBC, one more for length. Late nights will be had!!! Vegetables will not be eaten!!! Oh yes! The people at the show alone made the drive worth it, not to mention the good times, late night chats and free bricks! Plan for next year folks... Prairie invasion?